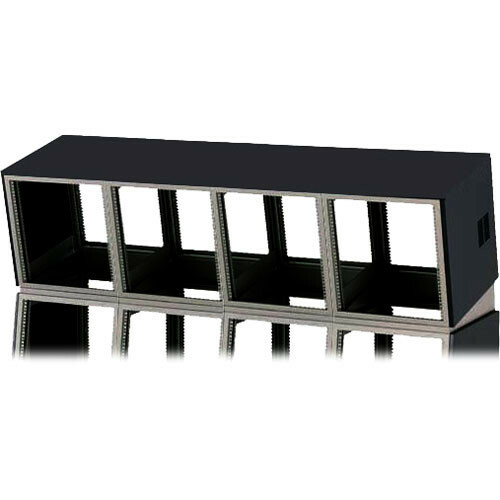 The Winsted J8828 Four-Bay Top Module Wedge, System/85 Series (Black) is for use with a System/85 Series console. If a top module is added to one of the consoles, this wedge may be inserted to tilt the upper monitors by 12° for better viewing and glare reduction. Like the rest of the unit, this wedge is made of sturdy welded steel. This wedge tilts upper modules by 12° so users can view upper monitors better with a reduction in glare. This sturdy steel wedge matches the System/85 basic console.